WASHINGTON (Reuters) – California and New York suggested on Friday they would take legal action against President Donald Trump’s national emergency declaration aimed at freeing up billions of dollars in funds to build a wall along the U.S. border with Mexico. 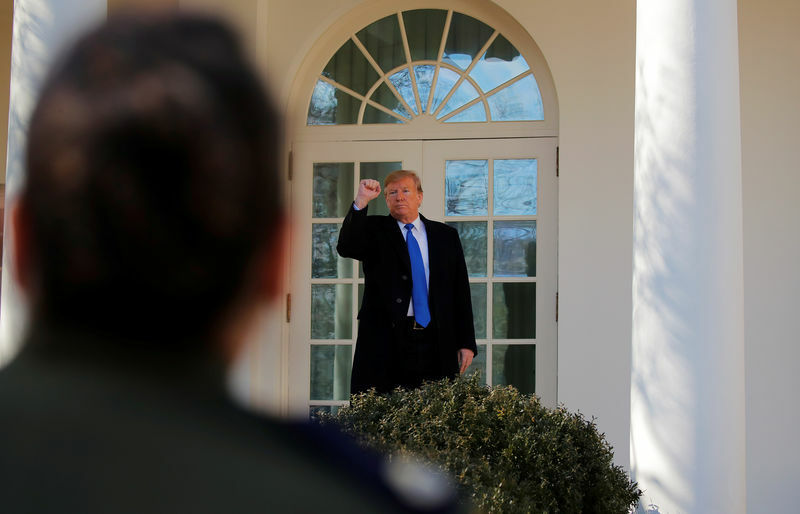 Trump’s move would circumvent Congress, and he predicted in comments made in the White House’s Rose Garden that the emergency declaration would face a lengthy legal challenge. New York state’s Democratic attorney general, Letitia James, fired back almost immediately after Trump announced his action. “We will not stand for this abuse of power and will fight back with every legal tool at our disposal,” she said in a statement. “Our message back to the White House is simple and clear: California will see you in court,” he added. The Republican president has sought to build his promised wall along the southern border, which he says would stem the flow of drugs and stop illegal immigration. Democrats, in turn, have said the wall would be ineffective and labeled it immoral.